IEC TS 63070:2019 is applicable to ultrasonic equipment designed for the medical field of application. It covers both diagnostic and therapeutic (physiotherapy and HITU) equipment. 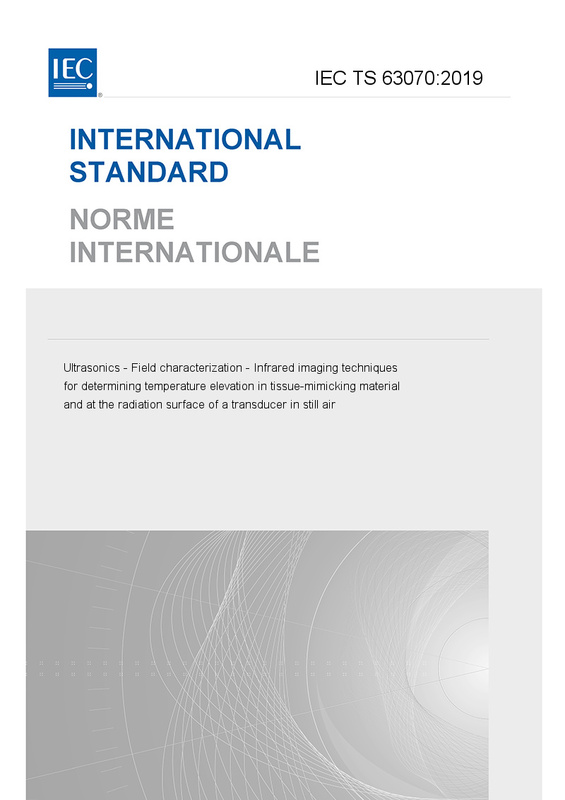 This document describes transducer evaluation by the infrared imaging technique using a split TMM-phantom for qualitative and quantitative estimation of temperature distributions in tissue-mimicking material, resulting from absorption of ultrasound and from heating of the transducer itself. This document also describes a method to measure transducer-surface temperature, while the transducer is driven under the still-air condition.